I spent much of the day yesterday recovering from the crushing rock that landed on me (i.e., my heart attack). And while hospital food will never have the appeal of that found on Iron Chef America, Iron Chefs will never have the appeal of most healthcare clinicians. I’ve been pretty bless by an array of doctors, nurses, technicians, and volunteers who pound the pavement between hospital rooms. Most have an innate beauty to quell the suffering which lay inside even the most hardened patients. Like canyon water searching the crevices, their compassion percolates throughout exterior pores and seek even the slightest entryway unto the soul. Thus, the moats and castle walls lay ruin by the waves of love and wash us anew by replacing dearth with light. Like most clinicians, there are momentary bouts of doubt, when one ponders if all they do benefits anyone. Surely, the daily battle of grace against doubt, of life and death, are artistically chiseled into age lines, frowns and sighs. “But another saved,” responded another. “But do I make a difference,” she queried. That’s the key, “Do I make a difference?” Common threads exist between nurse and physician, between clinician and patient. Unbeknown to them, they lead with compassion and resilience, oftentimes bridging the gap between agape love sought and found. In silent servitude, they give most another chance at life, while providing closure and transition to those nearing their time. It’s a remarkably beautiful and and eloquent dance. 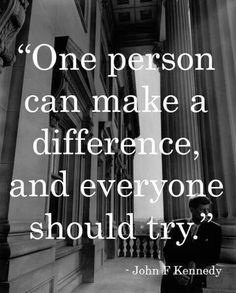 Each of us makes a difference simply by showing up. If you reflect upon key events of life, they’re often more beautiful and special than first realized. Almost all people have positive qualities and hidden gems. The essential point of focus is, do we search for the dirt or search for the gold? To my nurse, I thank you. You do make a difference … simply by showing up. Give it a try – show up.